A couple weeks ago at Costco I came across two pound packages of strawberries for $3.38. What a steal! I bought 4 pounds and told myself that I'm going to make some Homemade Strawberry Jam. I thought if I purchased that many strawberries than I would have no choice, but to make jam. My sister was down for a visit back in June and brought me a jar of her homemade Strawberry Jam. All I can say is that was the best jam I had ever had. It tasted so different from store bought. It was at that moment that I set out on a mission to try my hand at jam making. Honestly the only jam I have ever made was Freezer Jam or Peach Preserves. For some reason I always thought making homemade jam was somewhat complicated. Well, I'm here to tell you it's not! I assumed I would need all day for jam making, but that wasn't the case. In no time I had the strawberries prepared and started the cooking process. The aroma from the kitchen was intoxicating to say the least. I was like a kid in a candy store through the whole process. 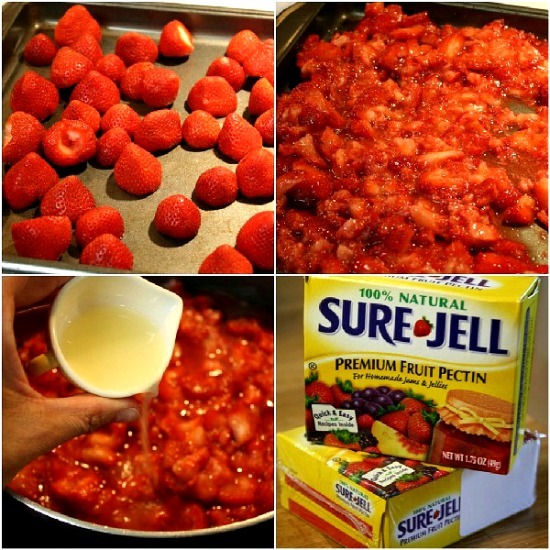 I used the recipe that was in the Sure Jell box and followed it to the letter. Preparing and adding the fruit, adding the pectin and the pad of butter. I brought the mixture to a full rolling boil as directed and added the sugar. The recipe stated to bring the mixture to a second boil and boil for 1 minute. I did just that and then turned the mixture off. This is where I ran into my problems. I found out only after canning and processing all the jam that it takes longer than one minute for the mixture to come to a true full boil of (212 degrees). As well as realizing that Jam reaches it's ideal set at (220 degrees). Needless to say my jam did not set up. I still let the jars sit the whole 24 hours after processing in hopes that it would eventually set. First thing in the morning I headed to the kitchen only to be disappointed. I was determined to make it work, so I did a bit of online research. I came across a article on How to ensure your jam sets up. I wish I would of seen this before I started, but I now know and that's all that matters. I picked myself up dusted off my apron and did exactly what Marisa said. I dumped it all back in to a pot added a bit more pectin and brought the mixture to 220 degrees. I can now honestly say...... that making homemade jam really is easy. I have added full step by step photos and directions, so you won't run into any jam failures. Start by removing the stems from the strawberries and lay them on a large baking sheet. Using a potato masher crush the strawberries thoroughly, one layer at a time. You can leave some chunks, but try to mash them pretty good. Measure exactly 5 cups prepared fruit into 6 - 8-quart sauce pot and add the lemon juice. 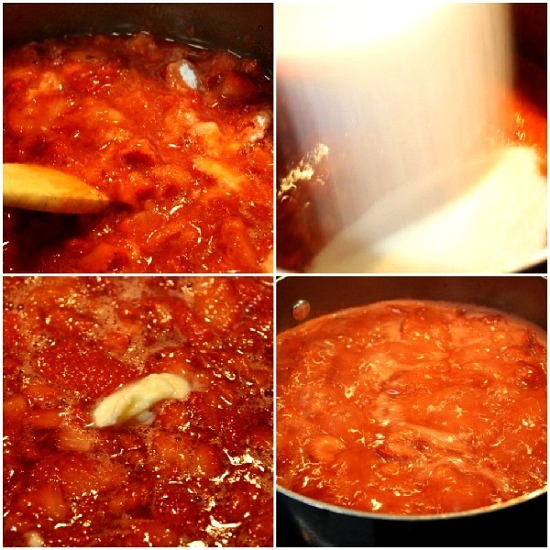 Stir the pectin into prepared fruit in sauce pot. Add butter to reduce foaming, if desired. Bring mixture to full rolling boil (a boil that doesn't stop bubbling when stirred) on high heat, stirring constantly. Stir in sugar. Return to full rolling boil (212 degrees). and boil until the jam reaches 220 degrees (use a candy thermometer). Skim off any foam with a spoon. Ladle the jam immediately into prepared jars, filling to within 1/8 inch of the tops. Wipe jar rims and threads with a clean cloth. Cover; bring water to gentle boil. Process pint size jars for 10 minutes and half pints for 5 minutes. Remove jars using canning tongs and place upright on a towel to cool completely. After jars cool, check seals by pressing the middle of lid with your finger. If the lid does not pop back then it's sealed. If the lid pops back when pushed then it isn't sealed. You will need to reprocess the jars or store the jam in the refrigerator. Store processed jam in pantry and enjoy! Bring boiling-water canner, half full with water, to simmer. 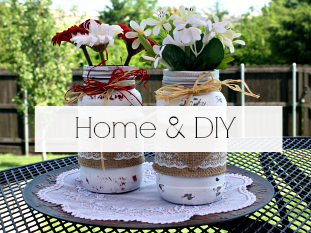 Wash jars and screw bands in hot soapy water; rinse with warm water. Place washed jars in boiling water for 10 minutes to sterilize them. Pour boiling water over flat lids and rings in saucepan off the heat. Let stand in hot water until ready to use. Drain well before filling. Remove the stems from the strawberries and lay them on a large baking sheet. Using a potato masher crush strawberries thoroughly, one layer at a time. You can leave a some chunks, but try to mash them pretty good. Measure exactly 5 cups prepared fruit into 6- or 8-quart sauce pot and add lemon juice. Stir pectin into prepared fruit in sauce pot. Add butter to reduce foaming, if desired. Bring mixture to full rolling boil (a boil that doesn't stop bubbling when stirred) on high heat, stirring constantly. Stir in sugar. Return to full rolling boil and boil. Jam reaches it's ideal set at (220 degrees). Boil the jam until it reaches 220 degrees (use a candy thermometer). Skim off any foam with a spoon. Ladle immediately into prepared jars, filling to within 1/8 inch of tops. Wipe jar rims and threads with a clean cloth. Cover with 2-piece lids. Screw bands tightly. Place jars on elevated rack in boiling water canner. Lower rack into canner. (Water must cover jars by 1 to 2 inches. Add boiling water, if necessary.) Cover; bring water to gentle boil. Process pint size jars for 10 minutes and half pints for 5 minutes. 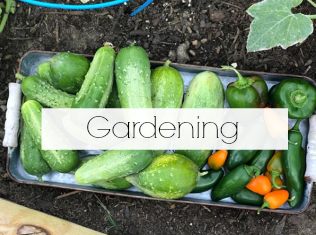 Using canning tongs remove jars and place upright on a towel to cool completely. Check seals by pressing middle of lid with finger. If the lid does not pop back then it is sealed.If the lid pops back when pressed then it is not sealed. Either reprocess jars or store in refrigerator. Store properly canned jam in pantry. Properly canned items can last in your pantry for up to 1 year. Cook's Note: If the jam does not set up after 24 hours. Add the jam back to a large pot, and and a bit more pectin (about 1 tablespoon) and bring the mixture back to 220 degrees. Turn heat off, fill and re process jars. 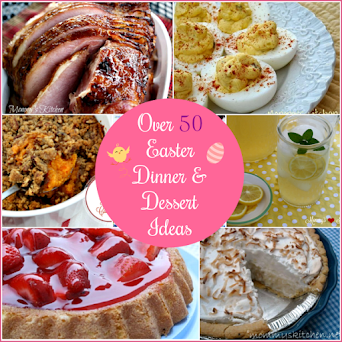 Looking for more recipe ideas? 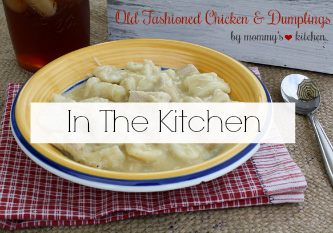 Check out the Recipe Index by Mommy's Kitchen. 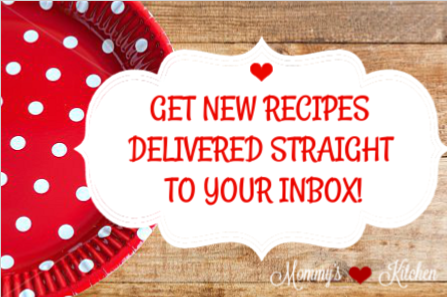 Don't miss a single recipe Click here to to sign up for my Free Recipe Newsletter. Looks delicious! Can't wait to try it myself. A fellow Texan! 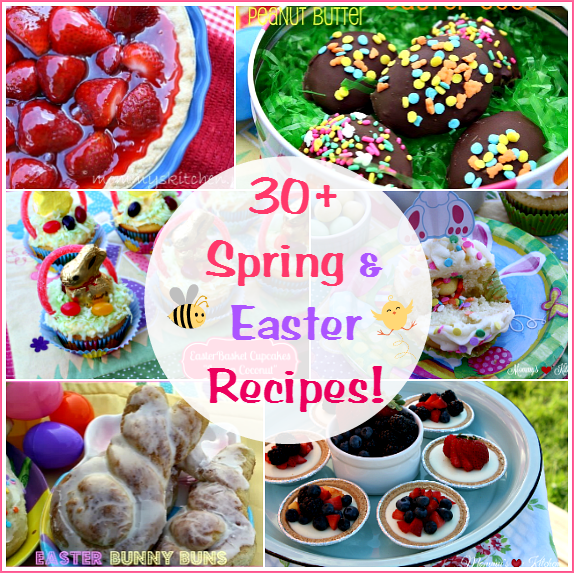 It was super yummy, so I can't wait to make another batch before strawberry season is over. Tina, I love homemade jam!! This looks delicious! Nice pictures, too. Also, I really like what you've with the background and header! 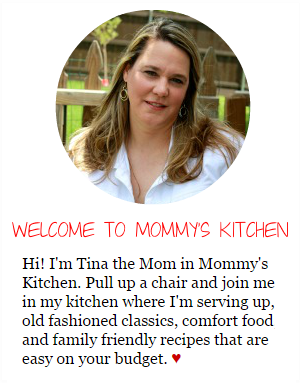 You have such a cheery blog with yummy recipes. I can tell you're a great cook! I follow the directions in the Sure Jell package and , after bringing the mixture back to a full rolling boil, boil for exactly one minute. I have never had a set failure. I have no idea why yours failed the first time unless you didn't have it to a furious rolling boil either time. During strawberry season, I clean the berries , crush them, and package them in jam making amounts. When we need jam I take a pack from the freezer and thaw. I never process mine--I pour into a large cool whip container and keep in the fridge. I have never had any go bad and it only takes a few minutes to make a fresh batch when we need it. I do agree...fresh strawberry jam is far different from store jam--Smucker's is sour and dingy red in comparison! I did have it at a furious boil both times. I can tell you it wasn't a actual boil temp of 212 degrees, because that took a bit of time to get to the time around. I know the width of your pot as well as if it's humid outside can affect the jam. I have friends that make jam and they too have had an occasional off day (it happens). I'm glad it works out for you, but I feel more comfortable using a thermometer and achieving the right temp. Maybe the more times I make jam the better I will get. You said you have made it quite a few times and I'm just begining. Maybe the more seasoned I get I can learn to eyeball it more. Thank yo so much for the nice comment regarding my site. I try to make it as cheery as possible. Canning scares me. I dunno why. But you make it look quite easy! your jelly turned out beautiful, I remember days of having to dump it all back in & starting over, once you get the hang of canning you'll want to can everything you get your hands on lol! I agree about the boil. I use a candy thermometer. I do not "process" the jam, tho. I fill & seal, finger-tighten the rings & immediately turn over the jars so that the hot jam heats the seals. After about 15 minutes, I turn them right=side up & listen to them as they "pop pop", showing that they have sealed. Pressing on the seals & having them solid, proves the seal. They last forever. The jam must be stored in a cool place out of the sun. This sounds FABULOUS! I have always wanted to make jam from scratch but have not yet tried it. However, I am sure it is amazing. Making this Now and if the finished product is anywhere near as good as the leftover I licked off the spoon it's gonna be awesome! We just went to the market today and bought a few flats of strawberries and I LOVE strawberry jam. I have tried many time to make my own but never succeeded. I hope this one will work. I am making it now. When I am done, I will let you know how it turned out. Thank you so much for the recipe. Loved your strawberry jam instructions. I made Strawberry Jam for the first time this week and followed the recipe (almost identical to yours) except I water bathed for 10 minutes instead of the 5 minutes I should have for my location. Will the Jam still be OK? I am going to do another batch tomorrow and water bath the jam for 5 minutes. Why is there a difference???? Process pint size jars for 10 minutes and half pints for 5 minutes. I had used half-pints.... so they should still taste ok? It doesn't hurt the half-pints if you water bath them with Pints?? I process different size jars together all the time. It will be fine. I'm so glad the jam turned out for you the first time. That is quite the accomplishment. Just finished with two batches of strawberry jam this morning. Looks good, tasted good licking the sauce off the spoon whenever I had finished filling the jars...hahaha. Thanks for your help and the compliment. Do you do Blueberries? That is the next item coming from a local farm here in Georgia. I want to make blueberry Jam. 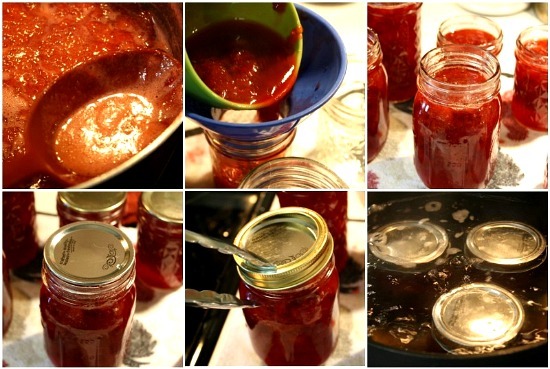 I did the same thing and my strawberry jam didn't turn out, how much more pectin did you add? I think I added about one tablespoon more pectin and brought the jam to a true full boil of 212 degrees. Then I reprocessed the jars and the jam set up the second time. @Julie just remember next time to bring the mixture to a full boil and boil until it reaches 220 degrees so the jam sets up. I have not had any problems since and have made this jam 3 more times with perfect results. Anything homemade is better than the store bought brands which are laetly super sour and awful tatsing on the market. 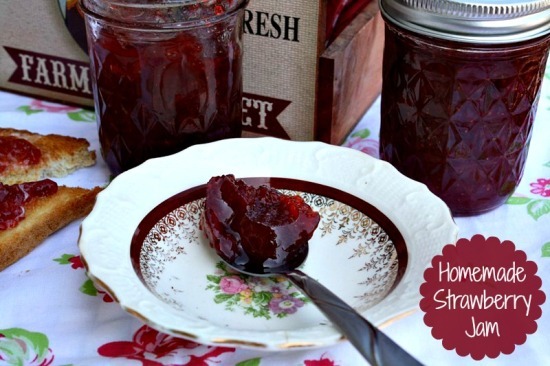 Whatever happened to commercial "sweet" jam/preserves? Thank goodness for websites like this. Would like to.use red rasberrys with Chipolte peppers !! Can I use the same process ?? I have never tried that, so I cannot give any advice on how to do that or if it is possible. Sorry. This was my first time to can since I was a girl working with my mom in the kitchen. It was fantastic! Your directions are spot on and easy for any rookie to follow. Thank you for giving me such a fun recipe to follow with great (real) photos. 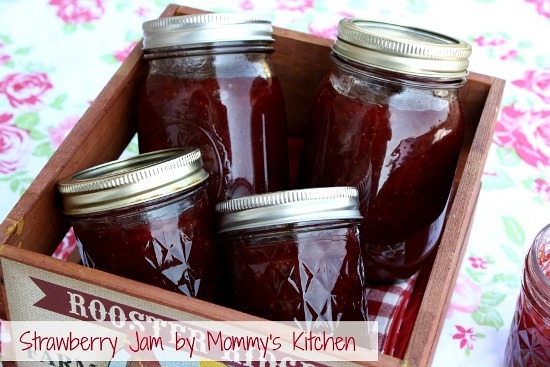 I not only made 12 half quart jars of strawberry jam, I made some wonderful memories with my daughter in the kitchen. You have not one - but two new followers! I don't have a canner. Could I just boil them in a pot? I was wondering if you can use half of the sugar and still have this recipe come out? I have always done freezer jam and halfed the sugar as i find the full amount is much too sweet for my taste buds. This does result in a runnier jam, which i do not mind as it is fabulous on vanilla ice cream but just a bit messy on toast or a muffin. That's the way I make mine except, I leave them upside down overnight. That would be great!! The first time I made jam, I made strawberry, strawberry jalapeño, Peach jalapeño and jalapeño. It turned out BEAUTIFUL and was scrumptious!!! Firstly, thank you so much for the recipe. I have to say that I made this recipe a few days ago, followed the one minute instructions, and it actually turned out well. I doubled my batch (I know this is a real risky thing to do especially if it doesn't work out)and ended up with 8 pints. This was actually my third batch of Strawberry jam that I had made in the past two weeks, as the season comes and goes so fast, that I take my opportunity while I can. The first two batch I did not use pectin at all, and they both turned out excellent. Not using pectin is a labor of love, as it really take patience to get it right. Next...apples from my tree. Wish me luck!!! Hi i want to make this but want to make it healthier with maybe honey as the sweatner instead of sugar. Do you think that would work? Also what is the benedits to using pectine or not using it? Do you have a recipe for pear preserves?